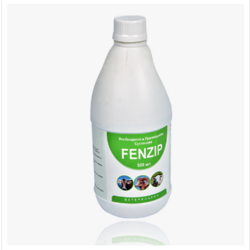 Providing you the best range of fenzip forte (fenbendazole 25mg and praziquantel 5mg/ml), oxymisole forte (levamisole hcl 30mg oxyclozanide 60mg/ml), crebenex 10% (albendazole 100 mg/ml), fenzip (fenbendazole 15mg praziquantel 5mg/ml), levostin (levofloxacin 100 mg and colistin sulphate 15 mg/ml and trazoril (toltrazuril 25 mg/ml) with effective & timely delivery. Tapeworms: Echinococcus spp, Taenia spp. Dipylidium canimum (adult and immature forms). Sheep, Goats, and Cattle: 1 ml per 3 Kg body weight. 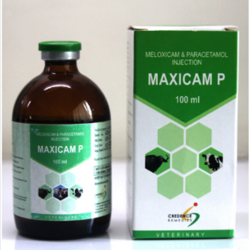 Prophylaxis and treatment of gastrointestinal and lungworm infections in cattle, calves, sheep, and goats like Trichostrongylus, Cooperia, Ostertagia, Haemonchus, Nematodirus, Chabertia, Bunostomum, Dictyocaulus and Fasciola (liverfluke) spp. 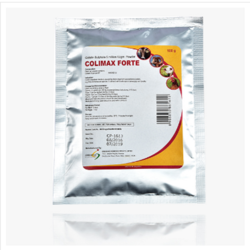 Prophylaxis and treatment of worm infections in calves, cattle, goats, and sheep like: Gastrointestinal worms, Bunostomum, Cooperia, Chabertia, Haemonchus, Nematodirus, Oesophagostomum, Ostertagia, Strongyloides and Trichostrongylus spp. Goats and sheep: 1ml per 20kg body weight. Liver-Fluke: 1 ml per 12kg body weight. Calves and Cattle: 1 ml per 12kg body weight. Liver-Fluke: 1 ml per 10kg body weight. 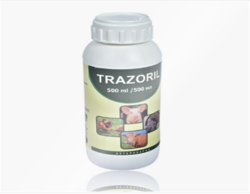 For treatment and prevention of Infestations with helminthes susceptible to Fenbendazole & Praziquantel in sheep, goats, and cattle. 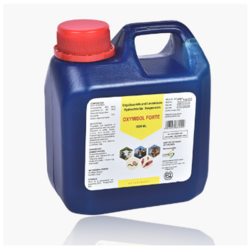 Oral drench for sheep, goats, and cattle. 1 ml per 3 kg body weight or as directed by the veterinarian. Safe for young and pregnant animals. To control Gram Positive, Gram Negative bacteria, and most spp. of Mycoplasma. 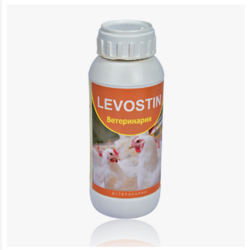 Levostin is the most advanced antibiotic combination which controls infections effectively against drug-resistant bacteria causing severe infections like CRD, CCRD, Colisepticaemia, Salmonellosis, Infectious Coryza, Fowl Cholera, Necrotic Enteritis, Non specificGangrenous Nonspecific & secondary bacterial infections during viral diseases etc. Levostin is a combination of most advanced antibiotics (Levofloxacin & Colistin), So controls infections caused by bacteria resistant to common drugs (Eg. Enrofloxacin, Ciprofloxacin, Erythromycin, Tylosin, Tiamulin, Lincomycin and b-lactum). Levostin can be administered once a day. Dosage is 4-8 ml per 10 liters of water. 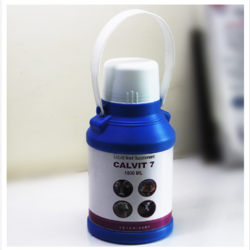 For Poultry Regular: 4 to 8 ml per 10 liters of water. In Pulse Dose: In severe contitions: 1 ml per 5 Kg of live body weight. In Moderate Condition: 1 ml per 7 Kg of live body weight. In chicks: 1 ml per 20 Chicks. It is used for the treatment of coccidiosis of all stages like schizogony and gametogony stages of Eimeria spp. in chickens and turkeys. Supply the medicated drinking water as the only source of drinking water. Do not administer to poultry producing eggs for human consumption. 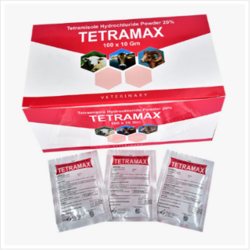 Tetramisole is intended for the treatment of diffrent worm infection in cattle,swine and poultry. 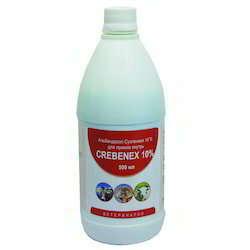 Large animals (Cattle,Sheep,Goats) : 1.5 gm per 20 kg bodyweight either with drinking water or mixed with feed. Poultry : 0.15 gm/2 kg bodyweight with drinking water for 12 hours only. Stop treatment 3 days before slaughter. Gastro-intestinal infections caused by micro-organisms susceptible to colistin, e.g. Pseudomonas aeruginosa, E. coli and Salmonella spp., in calves, pigs, and poultry. Calves: 2.5 grams per 200kg body weight, twice daily, during 5-10 days. (depending on the causal agent). Sows: 1g per kg feed during 3-5 days. Piglets: 1g per 2.5kg feed during 3-5 days. Poultry: 1g per 12 litres of drinking water during 3-5 days. Mixed with feed, the product should be used immediately. 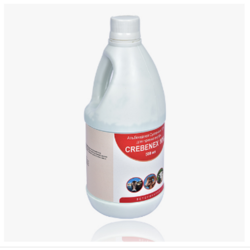 As an anti-stress & anti-oxidant as a general health tonic and to improve milk production. Improves calf growth and overall health. Cattle, Buffaloes: 20 ml Daily. Sheep, Goats: 4 ml daily. 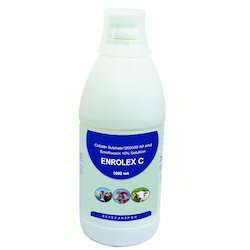 As a supportive to antibiotic therapy in painful and inflammatory conditions of Arthritis, Laminitis & other musculoskeletal disorders ,Surgical cases / Wounds, Diarrhoea / Enteritis in combination with Oral rehydration therapy, Acute Mastitis, Acute Respiratory Infections (Bronchitis, Pneumonia & HS),Uterine Prolapse,Postoperative Pain, Colic, Fever, PUO and other conditions involving , inflammation & pain . Milk for human consumption should be taken after 7 days and the animal may be slaughtered for human consumption after 28 days from last treatment. We feel proud to introduce ourselves as one of the well-known manufacturers, exporters, and suppliers of Fenbendazole 1.5% And Praziquantel 0.5% Oral Solution. 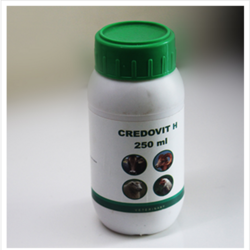 The offered fenbendazole and praziquantel oral solution are widely acclaimed for treatment of tapeworms and roundworms in puppies and dogs. 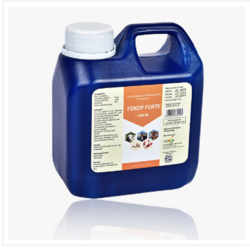 Our exported fenbendazole and praziquantel oral solution are packaged in a plastic jerry can for facilitating easy handling and storage of the medicine. Looking for Oral Liquids ?